A promotion and a few additions. Real Simple has made changes to its editorial team. Details are below. Sam Zabell has been promoted from assistant to associate editor of RS.com. 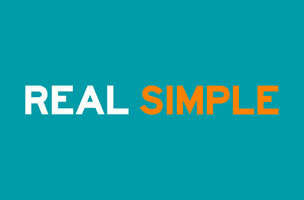 Kelly Clark rejoins Real Simple as deputy photo editor. She most recently served the same role for Every Day with Rachel Ray. Clark previously worked for Real Simple from 2011 to 2014. Brenda Dargan has been named a senior producer for RS.com. Dargan has been working as a freelance producer for the site since 2011. Dina Ravvin has been named a senior designer. She comes to RS from WSJ Magazine. Grace Elkus is joining as an editorial assistant for RS.com. Elks most recently worked for Cooking Light. Brandi Broxson has been named an associate editor. Broxson most recently served as the editor of the Naples Daily News magazine.